Meenakshi Thiru’kalyanam is the Divine wedding of Goddess Meenakshi and Lord Shiva as Sundareswarar. Meenakshi Sundareswarar Thiru’Kalyanam is a major annual festival celebrated at Madurai, as part of “Chiththirai Thiruvizha”, during the Tamil month of “Chiththirai”. 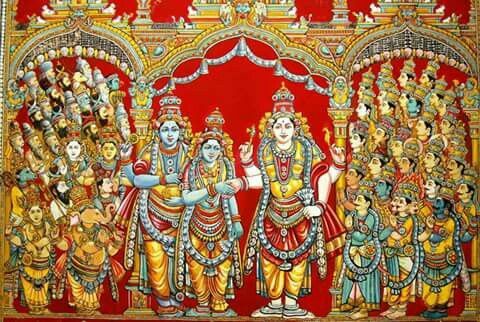 The holy Wedding happened as the biggest event on earth, with Lord Vishnu himself giving away, Meenakshi to Sundareswarar in marriage. Time : 02.00 PM onwards. All are invited to witness the Wedding and seek the blessings of Goddess Meenakshi and Lord Sundareswarar(Shiva).